To misquote a saying slightly “if you don’t measure it, you can’t manage it”, this is very important for grassland where production is so often not measured directly because grass is grown to feed livestock, rather than sell directly as a product. As a result of not measuring, the benefits of certain grassland management decisions may not be seen and appreciated, and hence can not be adopted as a “new” policy for the future. This applies on a field by field basis, where one field may outyield another but would not be recognised for it. If measured, the cause can be investigated and corrected (e.g. soil structure, sward quality). It also applies where new different ideas are being tried out and their benefits need to be assessed (e.g. seeds mix, nutrient timing, weed control). In both cases, failure to actually measure any benefit, means that managers are totally reliant on visual impressions of success and that means the improvements have to be large to be appreciated. In reality benefits can be very economic even with much lower levels of improvement than can be seen visually. Yield measurement for grazing grass uses such methods as plate meters, and systems are well established. However, yields of grass cut for silage are rarely measured properly. The basic “counting the trailer loads” method is only useful if related to weighing of sample loads, and only if samples of the fresh cut grass are analysed for dry matter content. This is because getting the yield of dry matter is more informative than the fresh yield, which varies according to whether it was wet or dry at silagemaking. Measuring settled silage in the silo, while vital for checking stocks of silage for the livestock, does not isolate field production issues from silo management. To improve our measurement of cut grass yields, there is scope for much greater use of weighbridges on farm. They may not be as dear as expected, and can be used for many other weighing purposes, which help justify the expense! 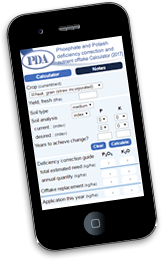 For example, check weighing of bulk products delivered on to farm, arable crop yield assessments, and checking muck application rates. Another solution would be to fit weigh cells to silage trailers, the same as are fitted to feeder wagons, but unless a lot of farmers start to demand it from the manufacturers, they will not develop the idea. A recent innovation measures yield “on the go” using sophisticated electronics on the forage harvester, even including some measurements of quality. It is still early days for such systems and, with greater uptake, their accuracy can be more widely assessed.